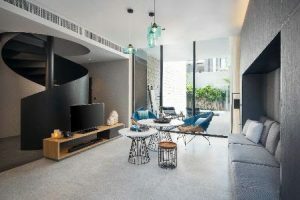 Steve moves to Pattaya from X2 Kui Buri, the design-led resort on Thailand’s golden gulf coast, just a short drive from Hua Hin, where as General Manager he delivered the property’s most profitable year in a decade of operations. X2 Resorts is part of BHMA Hotels & Resorts’ distinctive portfolio. 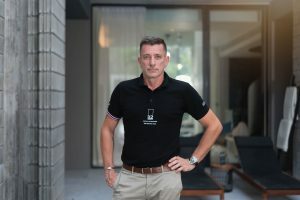 “We are delighted to introduce Steve Lockhart to X2 Pattaya Oceanphere and X2 Vibe Pattaya Seaphere, our two stunning resorts on Thyailand’s pristine Eastern Seaboard. Since Steve joined BHMA Hotels & Resorts we have been hugely impressed by his ability to lead and motivate his teams, maintain high standards and form strong relationships with guests. He also has a strong background in launching new hotels, which makes him the perfect person to lead X2 Pattaya Oceanphere as it approaches its highly-anticipated opening early next year,” commented Harry Thaliwal Executive Vice President Operations of BHMA Hotels & Resorts. 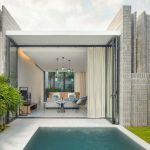 Scheduled to welcome its first guests in February 2019, X2 Pattaya Oceanphere will become the first all-pool villa resort in Pattaya. It has already won a string of awards, including “Best New Hotel Construction & Design: Thailand” at the Asia Pacific Property Awards. Situated 450 metres off an idyllic stretch of sand at Na Jomtien, this luxurious resort will offer 59 one-bedroom pool villas and spacious two-bedroom duplex pool villas, each of which comes fully equipped with tropical living space, a kitchen, bathrooms, an outdoor garden, terrace and private pool. X2 Vibe Pattaya Seaphere is already delighting guests with its award-winning design and bright seafront vibe. Nestled close to the beach in Na Jomtien, just a few minutes from downtown Pattaya and two hours’ drive from Bangkok, the stylish four-star hotel is ideal for relaxing couples’ escapes, friends’ weekends and family vacations. “Thailand’s Eastern Seaboard is one of Asia’s most exciting up-and-coming destinations for well-healed visitors. There is clearly more to Pattaya than just sun, sea and sand; our guests can enjoy visits to local wineries, play golf on world-class courses, visit a sea turtle rehabilitation centre and even tour the countryside on quad bikes. We have also teamed up with a local dive shop to offer marine excursions. The wreck diving here is sensational and there’s a great fishing village to discover in nearby Bang Saray – a former pirate hideout many moons ago. “X2 Pattaya Oceanphere and X2 Vibe Pattaya Seaphere will showcase the best of this diverse destination and I look forward to welcoming visitors from across the world to our two exceptional resorts,” said Mr Lockhart. Prior to joining BHMA Hotels & Resorts, Steve’s previous positions in Thailand have included management roles at Novotel Bangkok Siam Square, Vie Hotel Bangkok MGallery by Sofitel, and V Villas Hua Hin MGallery by Sofitel, which are managed by AccorHotels.